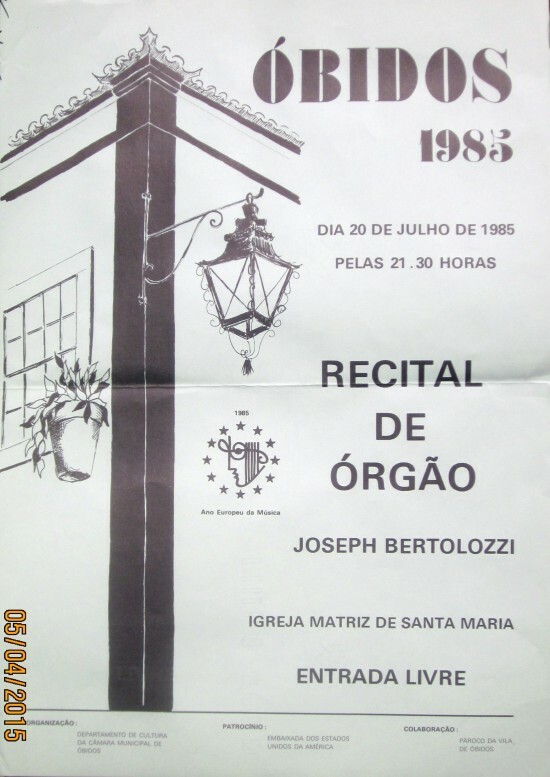 Remember how I said southern Portuguese doesn’t sound like it reads? 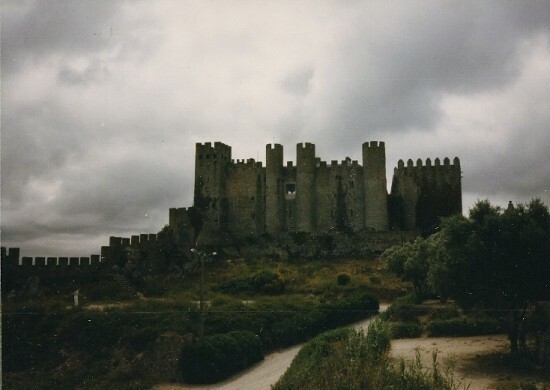 Óbidos is pronounced “HO-beech.” The “H” is a gutteral “CH sound as in “Bach.” Only the people who live in the area pronounce it this way; the attaché at the Embassy didn’t. When our English-speaking driver Carlos (KAR-loosh!) 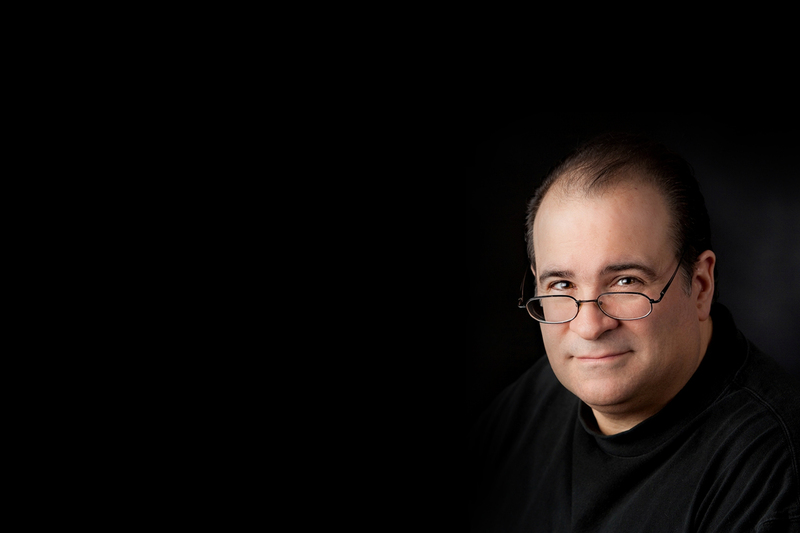 picked us up at the train station and was driving us around town, he’d occasionally drop this odd word…I finally had to ask him what he was saying. He was saying the name of the town! By the way, Óbidos had the most exquisite ceramics, notably baskets that looked like they were actually made of straw, but were pottery. 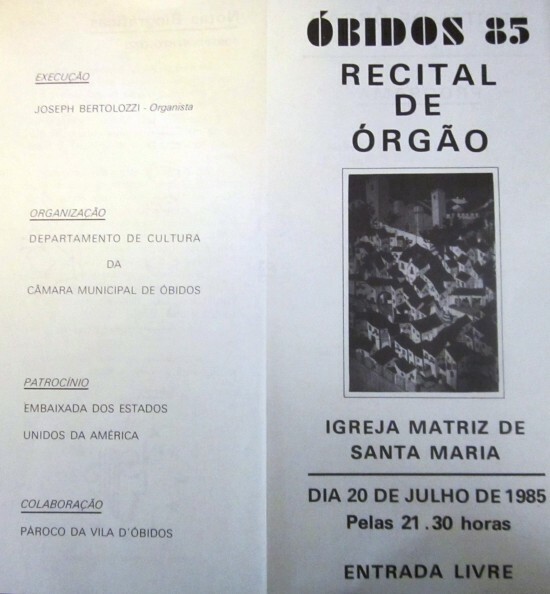 We were at the beginning of our trip and didn’t want to carry such fragile items with us, thinking we’d see them elswhere in Portugal. We didn’t. 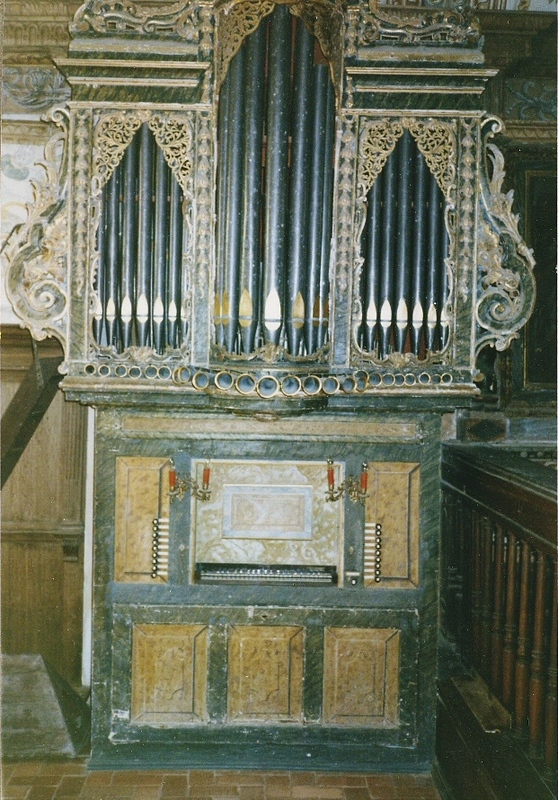 The organ, from c. 1700-1710, is thought to be the work of Joachim Antonio Peres Fontanes, the father of the builder who did the baroque organ in the Lisbon Cathedral. 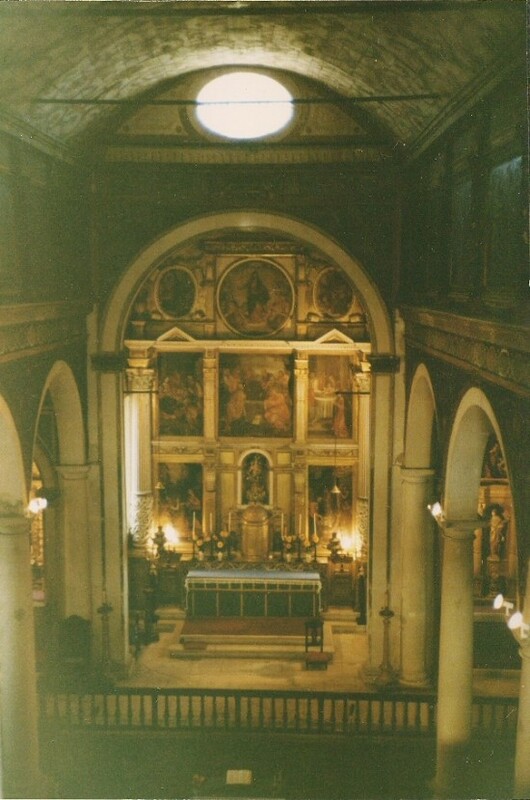 This is a fine example of simple parish organ. 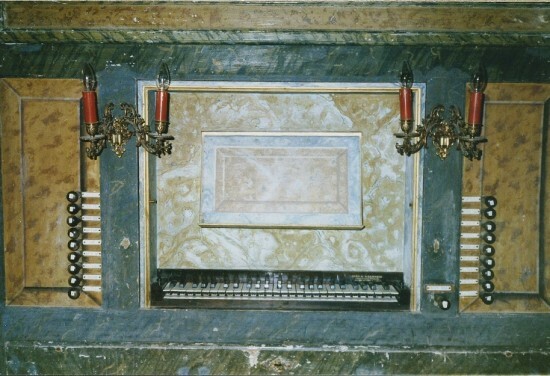 It was “restored” in 1949 by Sampaio & Filhos who replaced the original, bottom short octave with a full compass. 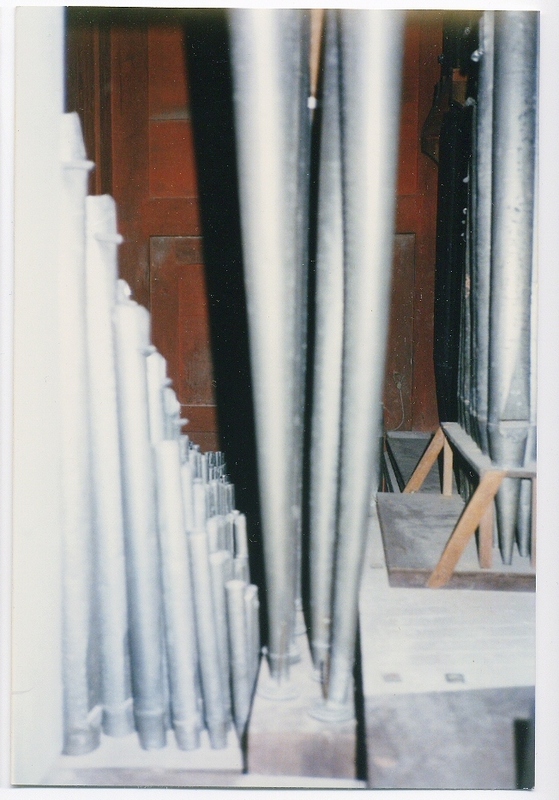 In 1969 an electric blower was added…don’t forget, in the old days playing the organ was a two-person operation: one to play and one to pump the bellows! 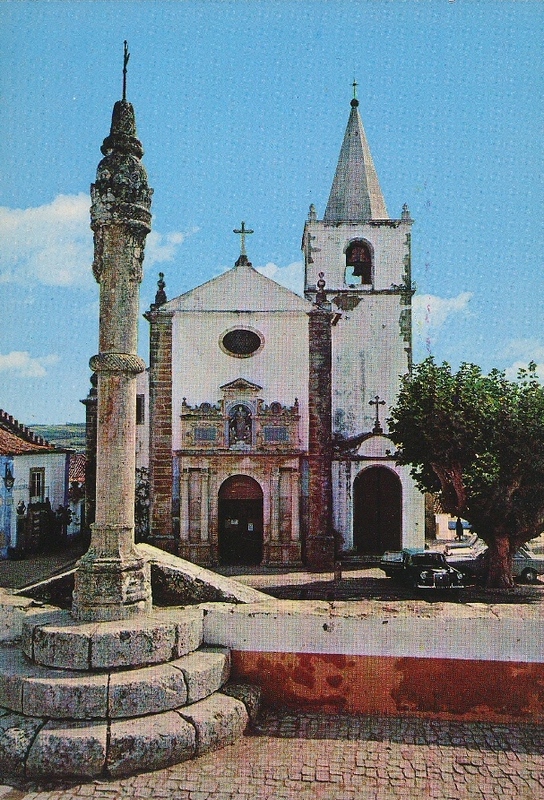 In 1994 it was restored again by Simões. The style of organ building in the Iberian peninsula at this time was to divide all the stops in half so one could draw one registration of stops for the left hand and another for the right hand. 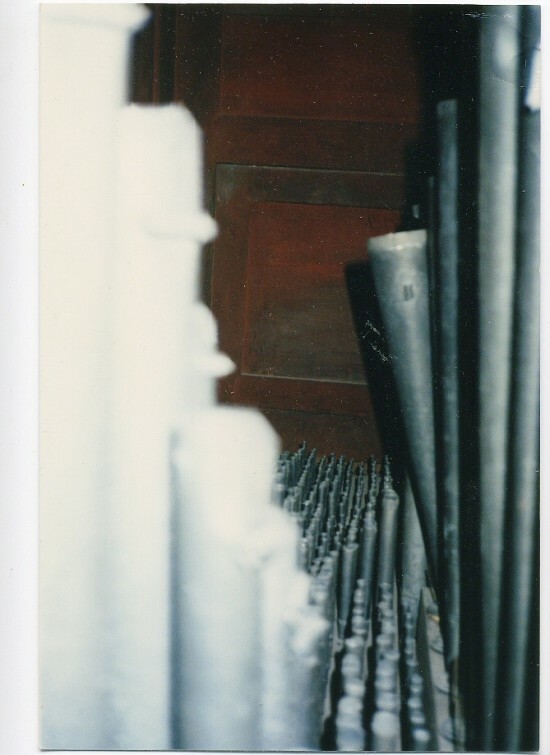 Consequently the organ seems to have twice as many stops as it actually does, but really it has the requisite number of half-stops. There is a whole repertoire of music for this left/right combination. It makes the organ more flexible, almost as if there were two manuals (keyboards) instead of one. 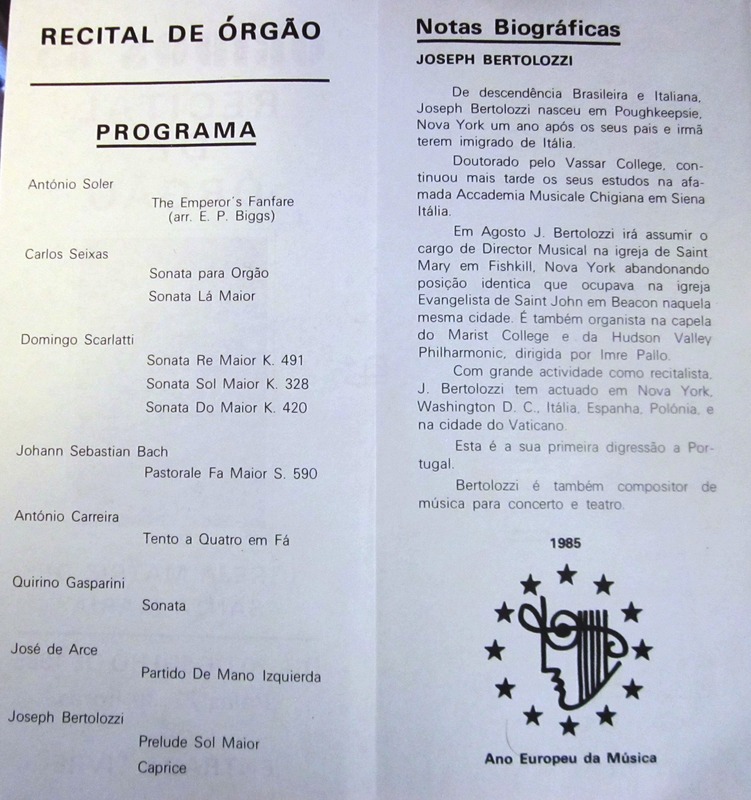 I included some of this repertoire in my concerts. Here is one such selection, Partido de Mano Izquierda by the Spanish composer Jose de Arce (1748-1777). Notice the bold, snarling voices that enter at the beginning followed by the addition of the blaring trumpets in the bass, weaving in and out. Both sounds come from the single keyboard. 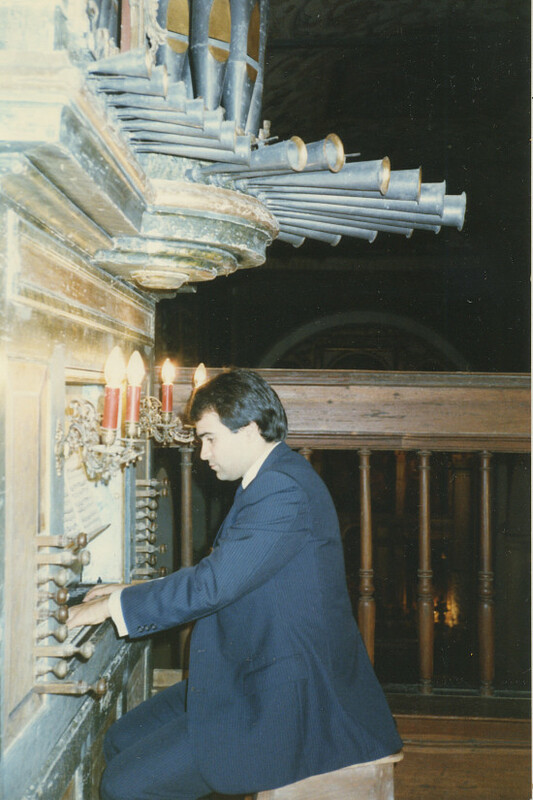 Organist Joseph Bertolozzi on tour for the US State Department at the organ of Santa Maria in Obidos in 1985, the European Year of Music. Here’s a gentle Sonata para Orgão em Sol Maior by Carlos Seixas (1704-1742) to take you out.